Understanding relapse is the key to helping you understand the significance of relapse prevention. Relapse is the process of returning to heavy alcohol use, following a period of abstinence. It is a transitional process, marked by a series of events that unfold time after time during the addiction recovery process. According to research done by the National Institute on Drug Abuse, 60 percent or more of people struggling with addiction will return to the old behavior within a year of drug recovery process. Recovery is not as easy as many people think and possibility of relapse is always present. Relapse prevention is therefore a key strategy meant to provide a conceptual framework to help reduce relapse episodes and thus an improved outcome process. Relapse prevention is the term given to the process of working with an addiction recovery patient to help prevent the impacts of a lapse before they get into the stage of heavy drug use. Relapse is not the best of experiences. It is a dreadful experience and addiction patients must be helped through a successful addiction treatment. Relapse prevention is therefore the key goal when trying to help patients reduce or end drug use. Drug / alcohol abuse is an acute physical and mental disease that is affecting many people in the US and the world at large. When individuals start using drugs, it’s all fun but wait until they get into alcohol / drugs dependency and they now want to quit this negative habit. The real battle begins. Some manage to go through drug recovery process successfully but to some few others, it results into relapse. Relapse simply means going back to drug or alcohol abuse after going through a drug / alcohol recovery treatment. Relapse is not a one day event but it’s an ongoing process. If you want to sustain a healthy sober lifestyle, a relapse prevention plan is a brilliant idea for you. According to the research done by the US Department of Health and Human Services, during the first six months of recovery, there are reported two third cases of relapse. Therefore, we can see that relapse is very common during the first stages of withdrawal. Drug cessation is a life-threatening experience and not everyone manages to go through it successfully. 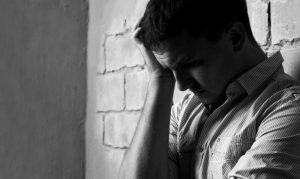 The tough and painful withdrawal symptoms make many drug recovery patients to retreat back if they are not given proper support by experienced health professionals. There are several factors that can cause relapse. These factors trigger substance abuse resulting into uncontrollable cravings. To some point, due to the difficulties experienced during withdrawal, the patient looks for a quick relief by going back into drugs. Let’s look at the common causes of relapse. Withdrawal symptoms like nausea, severe headache and stomach pain among others can make a recovery victim to give up along the way. The feeling that going back to the drugs will help get a quick relief are very difficult to overcome, hence relapse. The good news is that relapse is not the end of your recovery journey. Committing yourself to a relapse prevention plan does not literally mean that relapse must happen in your case. It is just a plan to help minimize the damage caused and help you to get back on track. It is of paramount importance that every drug recovery patient knows that relapse prevention is a paramount component of addiction treatment. As discussed earlier in this content, we now know that relapse is not an event. It is a gradual process marked by danger signs and red flags. We can say that relapse is a journey and anybody can find him /herself into it. That is why addiction specialists introduce specific strategies to address every step of relapse process. Young people are most likely to experience relapse even after getting motivated to change their lifestyles by choosing drug cessation. In most cases they encounter situations that encourage them to get back to drugs. There are three steps of relapse process and relapse prevention is meant to provide techniques to deal with every step of a relapse. The best thing ever is to apply strong coping mechanisms immediately you notice signs of a relapse. It will help you gain power to resist, leading to a successful recovery mechanism. This is the initial stage of relapse commonly caused by depressive feelings. Remember, during the addiction recovery process, it doesn’t mean that life’s challenges and stressors will be absent. The only thing that happens is that now you don’t have to use drugs / alcohol to deal with stress. Therefore, it becomes quite a tasking exercise to train your brains to deal with stressors without the influence of drugs. During this stage, a recovery patient who does not have strong emotion response to stress, depression and anxiety is most likely to be overwhelmed and relapse process begins at this point. Poor self-care is the key cause of emotional relapse. Ask yourself these questions to test your self-care. Denial and lack of self-care are key issues that lead to emotional relapse. Do you feel like you are being fair to yourself? Do you crate time for yourself? Do you enjoy fun? Is your self-care worsening or improving? Prolonged poor self-care leads to mental relapse. At this level, you are really battling with your mind. After having those rough experiences and you start judging the situation that if you had the drugs, it wouldn’t have worsened. You compare your life now and how it used to be with drugs and the feeling that life has become difficult without drugs can be really overwhelming. In most cases, addiction recovery patients fall into a trap of thinking that they will use the drug just once, find some relief and never to use again. The best therapy at this point is to help a patient understand and avoid the high-risk situations. In most cases, the patients think that by avoiding high risk situations, they portray a sense of weakness. Bargaining is the trickiest part of mental relapse. You find that some individual bargain that they relapse periodically in a controlled manner during holiday tours and travel or other high-risk situations. Some go to an extent of switching from one addictive drug or alcohol to another. Everyone going through the recovery process must understand that occasional cravings will still happen so as to avoid the shock during addiction treatment. These occasional cravings are very tempting. When an individual relapses, he feels so guilty and the fear of how the family and friends will feel let down makes them to feel ashamed to even talk about it. This may worsen the situation since it becomes difficult to find help. The fact that it is not easy to overcome substance dependency should be addressed thoroughly to during the initial stages of therapy since it is not possible to erase memory. This is not to imply that the person will relapse or is using poor skills, it is meant to create the awareness that with proper coping skills, anyone can let go of those thoughts within a short period. This is the third and the final stage where the patient takes physical actions in the addiction recovery process. The continuing negative emotions caused by poor coping skills leading to damaging thoughts makes the patient justify cravings and use of drugs. The uncontrolled thinking and obsessiveness of drug use is what lead to the physical relapse. Now, the individual starts using the drugs again. The most dangerous aspect about this is that the person now gets into relapse of uncontrolled using. Because the patients are aware that going back to old behavior is wrong, during physical relapse the only look for a window of escape where they can go unnoticed. Addiction specialists equips patients with relapse prevention strategies where they review those situations and develop strong exit strategies. After understanding what relapse prevention is, the stages of relapse prevention, it is important you learn about cognitive therapy being one of the key relapse prevention strategies. 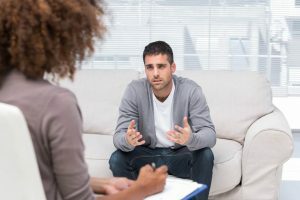 Cognitive therapy is part of addiction treatment that involves helping patients to change their negative thoughts and develop strong coping skills. When a patient has gone through a bad addiction and now wants to change and live a better life, there are many issues that arise in his minds. Some fear how life will be without drugs, whether they can manage to stay without drugs, whether to leave their friends and hangout places, fear that withdrawal is going to be a tasking exercise and many other concerns. These concerns triggers stress, anxiety, depression, resentment and negativity, thus relapse. They even tend to think that they can eventually relapse without anyone noticing. Cognitive therapy along with mind-body relaxation is what helps a person abandon the old habits and establish new and healthy ways of thinking even during the toughest moments. Are you feeling overwhelmed? You feel like you can’t move on with your normal tasks? You don’t find joy in thing that were normally fun to you? You feel like you want to stay alone in isolation from family and friends? You neglect self-care and recovery goals? Then, you need help. These are key warning signs of relapse. Relapse prevention is the most effective way to a successful withdrawal. Seek help from your local rehab immediately you notice signs of relapse. Don’t wait until the situation worsens for you to find help. Don’t shy off, speak about it and begin a journey to freedom and sobriety. Are you struggling with a nasty addiction? Or do you have a friend or loved one who is going through addiction? The time to find help is now. Talk to an addiction specialist now and talk about your addiction story. The doctor will put you into a relapse prevention plan to help you experience a fast, easy and successful drug cessation. The following are some of the key strategies that can help you address each step of relapse process. It is highly recommended that every individual looking for addiction treatment seeks help from a specialist addiction recovery doctor. In order to help address each step of relapse process, the doctor uses the following global strategies. Say No To Relapse: It’s dreadful! For those who have been on an addiction recovery treatment once or several times without success, they know that relapse is a deadly thing. After drug abstinence for a period and then getting back into drugs, there are many negative impacts experienced. The situation worsens compared to how the person was previously coping with addiction. Addiction is real battle and no one can fight it better than yourself. You must first of all admit that you are in a bad mental, physical and emotional crisis and that you need help. Drug cessation and sobriety doesn’t just happen overnight. It is a process that calls for your patience, discipline and commitment to the recovery plan. In order to prevent relapse, here are some essential requirements for you. Understand that relapse is a normal experience – do not figure relapse as a negative experience. Work along with your family and positive friends to work out relapse and bear the attitude that it is just a learning process to help you avoid future lapses. Identify high-risk situations – family and friends should be in a position to help the patient identify the high-risk situations and help provide necessary support to prevent relapse. Staying motivated in the entire proves – make use of every opportunity to stay motivated and embrace positive attitudes throughout the process. Get rid of any thought or situation that makes you feel defeated or feel like it has taken too long to recover. 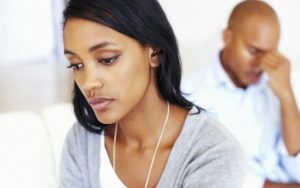 Developing strong coping skills and techniques to deal with high-risk situations and lapses – in order to combat a positive relapse, you need to develop strong coping skills. Work positively with the support groups provided and participate in non-drug related behaviors. Positive self-talk – develop some few phrases you can say loudly to yourself every time you feel tempted to use drugs. These phrases helps you to stay focused and not to give up along the way. Change of environment or lifestyle – your family or support team will help identify aspects in your former lifestyle or environment that encourages use of drugs. Change at this point is very important to help reduce chances of a relapse. Learn how to cope with cravings – cravings are very common during addiction recovery and they can be very intent if you do not know how to manage them. Work along with your family and support team to learn how to create distractions every time you feel strong cravings. Alternatively, you can stay in a rehab facility until you are able to overcome those cravings. Learn how to manage stress, anger and depression – in most cases, relapse is usually associated with negative moods. So you need to know to monitor and manage your moods before they bring crisis. Identify the early stages of a relapse and seek help from an addiction specialist immediately. Stay focused to relapse prevention – if you can only remember how life with drugs used to make you feel worse and that’s why you made a decision to change, you will always stay focused and committed to the plan. Now it is the time to put your plans into action reduce the risks of relapse therefore, employ unlimited coping skills and alternative plans to help you keep moving towards recovery. Be willing to talk to anyone who can help you in case you experience negative issues with your recovery process. Staying committed to your support groups and attending regular exercise appointments can really help. If you find yourself going back to your old behaviors, first know that a lapse is normal and craving will not go away overnight. Therefore, do not make the guilt overcome you. You only need to avoid resistance to change and be in a position to go back to your new behavior. What Can You Do To Avoid Cravings? It is important you know that cravings will not go away until you establish a strong mechanism of coping with them. Proper diet and exercise – this helps you to improve mood and reduce mood swings as well as providing you with sufficient strength needed to deal with stress and stress symptoms. Did You Remember To Reward Yourself? Overcoming substance dependency is a tough task. During relapse prevention, you need to learn how to reward yourself and do not in any case undermine your self-caring efforts. The little efforts you make every day determines the success of your recovery plan. So, rewarding yourself is a pleasant way of keeping you motivated in the entire process. Do You Find It Difficult To Maintain Sobriety? If you have been struggling with substance dependency for a long time, I know that you are longing for freedom and sobriety. In order to enjoy long-term sobriety, you need to identify your relapse triggers and use a combination of relapse prevention techniques given by your treatment specialist. Always get rid of people and situations that encourage you to use drugs or drink alcohol if you don’t want to slip back into your old habits. There are practical things you can do if you don’t want to slip back into old habits. First, cut ties with friends you used to stay along with during your active addiction period because they will make you feel tempted to sip drugs or alcohol. Then, there’s something you can do to make your home a haven of recovery and a true reflection of your new life in recovery. You can do this by clearing your home of all the alcohol and drugs stuff such as beer cans and empty pill bottles you accumulated during your active addiction period. Finally, find a new place to hang out. If you used to enjoy hang outs on specific bar or local parks, during addiction recovery process, you might still feel tempted to continue hanging out. Therefore, just find a new place where you can enjoy cool moments without drugs / alcohol. If you had previously tried to quit drugs / alcohol on your own with no success, probably that’s why you are reading this article. What you are looking for is a better solution. Isn’t it? That is why we are committed to provide you with a real-world approach for relapse prevention to work for your specific case. A clear understanding of relapse prevention is the key that unlocks your potential to freedom and sobriety. First, you need to understand that relapse is a gradual process marked by diverse stages. If you recognize early stages, chances of success becomes high. Secondly, know that recovery is a personal growth and development process and that in each phase of recovery, there are relapse risks involved. Mind relaxation and cognitive therapy are the key tools of relapse prevention. You need to develop positive and healthy coping skills coupled with positive thinking. Following the few basic rules of relapses can help you stay focused to what really matters.